Endurace 110 introduces new standards of versatility, performance and breathability. Performance comes from the carbon fiber shell which reinforces efficiency in the stride and balance while gliding. 3WD frames, Supreme wheels and Twincam bearings provide the speed and roll. Breathability is achieved with mesh panels in the uppers. The Removable Cuff System (RCS) allows skaters to change the skate from a medium height cuff to a race style skate with superior padding, more support and no break-in time. The Endurace 110 truly introduces new technologies for skating and allows skaters to choose the necessary support or configuration depending on where they are skating while never sacrificing speed or performance. 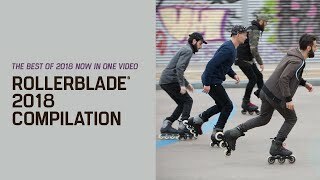 - PREMIUM SKATE for the fitness enthusiast and racer looking to train, exercise or simply advance their technique with a skate that can be both a low profile and race skate. - CARBON FIBER VENTILATED SHELL The carbon shell with vented soles is actually 2 skates in 1 with the removable cuff. It maximizes power transfer with its slightly higher shell profile and design. - ANATOMICAL PADDED PREMIUM LINER micro-adjustable buckle, power strap, and speed lacing system make sure the feet & heels are securely locked with great fit and comfort. - 3WD EXTRUDED ALUMINUM FRAME 295mm/11.6" is engineered to support the 3x110mm wheels while increasing speed and maneuverability. Also laterally adjustable to accommodate pronating or supinating issues. - SUPREME 110mm/85A WHEELS MAXIMIZE ROLL, grip, speed and wear. A true upgrade in performance from entry-level models. Twincam ILQ-7 Plus bearings spin is superior & helps provide the appropriate speed.